Margaret Griffin will be serving on the awards jury for the Jeff Harner Award for Contemporary Architecture. Created by Garrett Thornburg in the memory of Jeff Harnar, the award champions contemporary design in new Mexico. 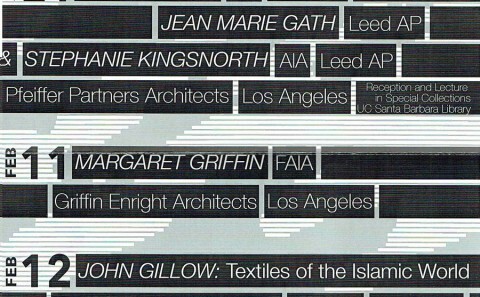 Margaret Griffin lectures at the AD&A Museum at the university of California, Santa Barbara.